Richard Davidow is a senior associate at Metro Appraisals. He is a real estate analyst with more than 20 years’ experience as a Georgia Certified General Real Estate Appraiser. 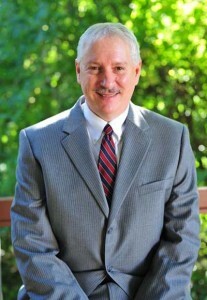 Richard also specializes in analyzing and valuing partial interests in real estate, other estate planning appraisal and consulting work, easements and eminent domain analysis, as well as extensive court work as an expert witness, special master and consultant to attorneys and courts throughout Georgia. Prior to beginning his appraisal career with Metro Appraisals in 1991, Richard was an independent builder and residential developer during the 1980s working in Fulton and Forsyth Counties. Richard is a native of Atlanta, Georgia, and a graduate of North Fulton High School and Oxford College of Emory University.